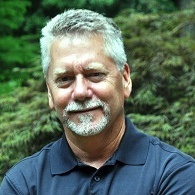 Ken Thomas of Envisor Consulting discusses why some landscape companies achieve their dreams, while others struggle to get by. The life cycle of a landscape business goes through three main stages that closely replicate the life cycle of people, Thomas says. The big difference is that unlike a person’s life, where he ages from childhood to adolescence to adulthood, businesses can stall at the childhood or adolescent phase and never reach maturity. In the first stage of business or childhood, a new landscape contractor is just getting his feet wet and everything is exciting. He loves playing with new toys and wants to get his little hands into everything. As the contractor grows, he enters the adolescent phase of business and starts developing an identity crisis. He becomes rebellious and is no longer willing to do anything for money. He also finds that he cannot work alone and now has to rely on others for help. Things become awkward as he tries to figure out what direction he wants to go into (maintenance, design/build, commercial, residential, etc.). And things that used to make him happy, no longer do. If he can successfully survive the adolescence, he’ll mature and reach the adult phase. It’s in this phase that he has a clear vision for his business, successful standard operating procedures and a defined business structure with empowered personnel.